Has your Aloha Bay salt or stone lamp burnt out? Don't be bummed, getting it glowing again is as simple as changing the bulb. 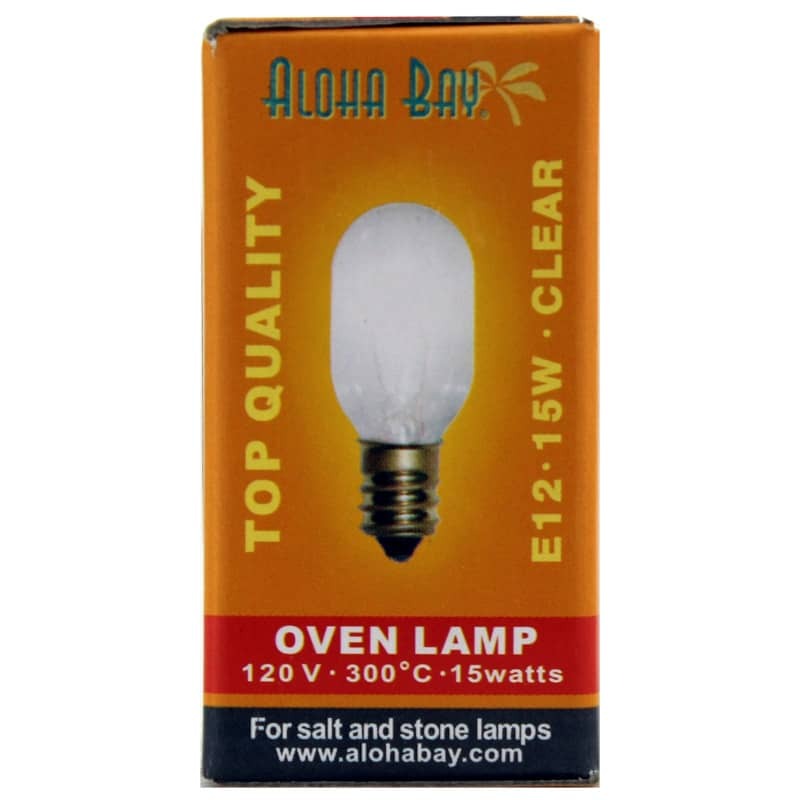 The Oven Lamp Replacement Bulb from Aloha Bay is specifically designed to fit your Aloha Bay salt or stone lamp. Don't waste your time trying to guess at the right bulb - this E12, 15-watt, 120-volt clear bulb meets all of the specifications of your lamp so you're guaranteed to get the right fit. Continue to enjoy the ambience and negative ion absorbing properties of your Aloha Bay Salt Lamp. Order your replacement bulb now. My order was taken care of efficiently. It was exactly as I had ordered. I purchased my Salt lamp at my local market,the Nugget. I love my lamp and leave it on all day. Naturally the bulb burnt out so I ordered several replacement bulbs. Natural Healthy Concepts shipped them promptly and carefully packaged them. I wish only the best for your company...and don't stop making those little "salt" for my little Salt lamp Please! !